Green Motion's winning paper will be published in The Green Book, the leading international work of reference on environmental best practice, so that others around the world can learn from its practices. Green Motion International has won a Green World Environment Award in the international campaign to find the world's greenest countries, companies, and communities. 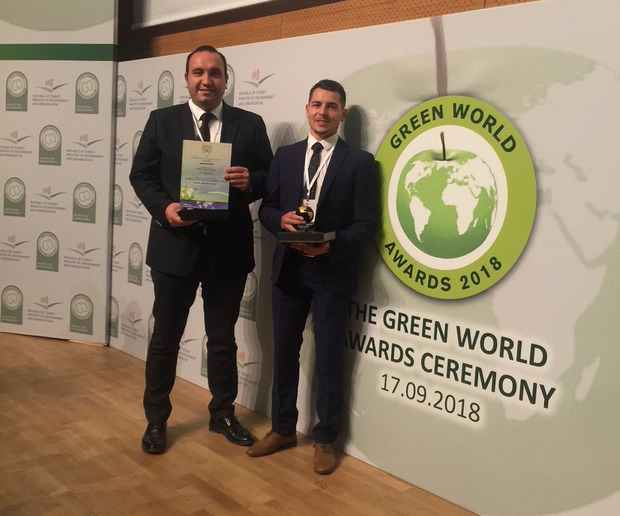 The company competed against more than 500 other nominations in the Green World Awards for environmental best practice, and was presented with a trophy and certificate at a presentation in Ankara, Turkey on Sept. 17. The awards are organized by The Green Organisation, an international, independent, non-political, non-profit environment group dedicated to recognizing, rewarding, and promoting environmental best practice around the world. They are supported by the Environment Agency, the Chartered Institute of Environmental Health, the Chartered Institution for Wastes Management, and other independent bodies. Green Motion has expanded into a number of major new territories including the beautiful country of Turkey where they have opened eight locations so far already this year, in Istanbul Kadıkoy, Istanbul Altunizade, Istanbul Sabiha Gokcen Airport, Ataturk Airport, Esenboga Airport, Adnan Menderes Airport, Istanbul Atasehir, and Istanbul Kartal.